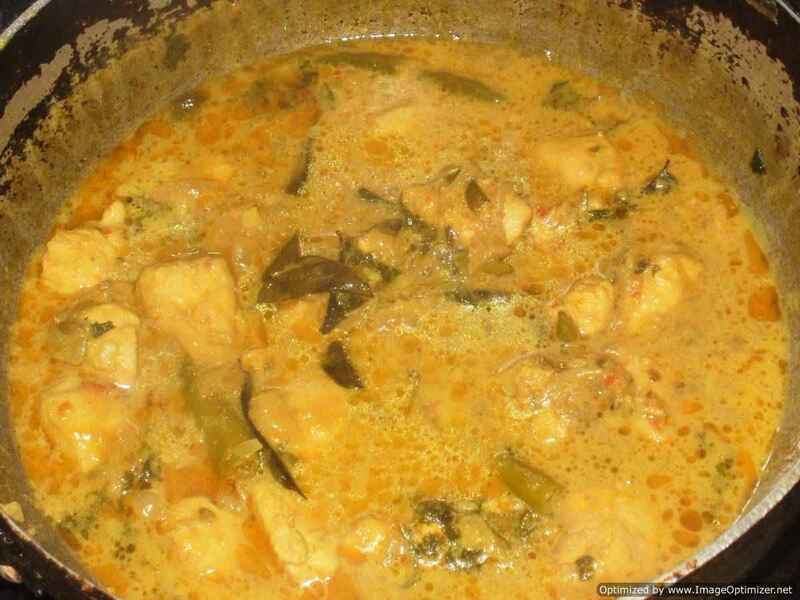 Kadai chicken/Punjabi kadai chicken is a very popular North Indian chicken curry preparation, especially in restaurants. 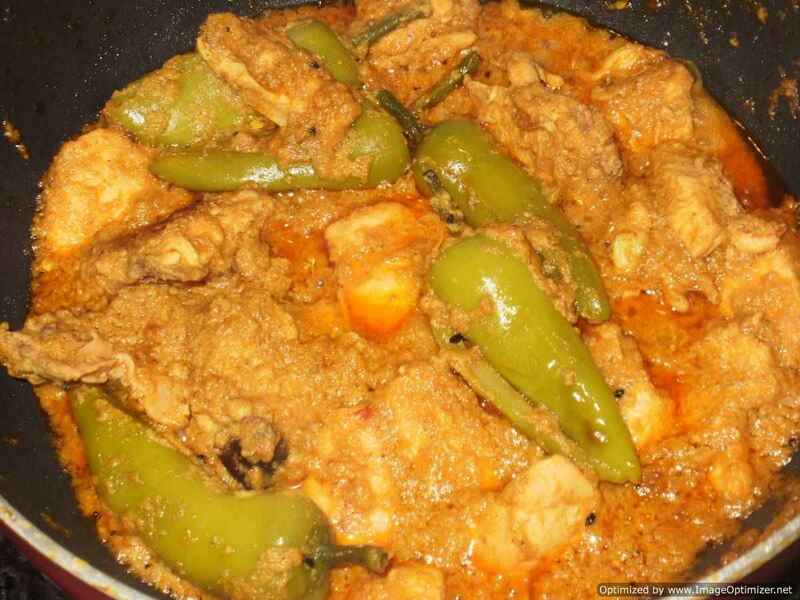 Chicken karahi is very popular in Pakistan. The word kadai in Hindi means Wok. In homes and restaurants, an Indian wok is used to cook kadai chicken. 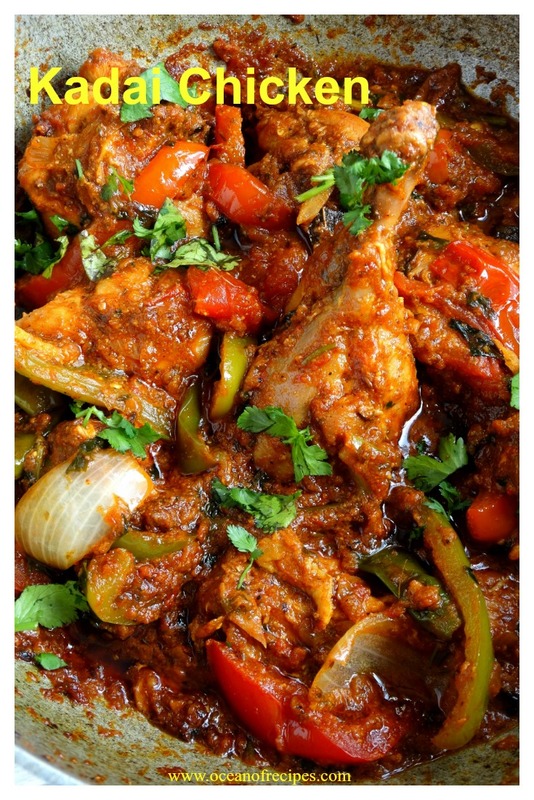 Kadai chicken is cooked with freshly roasted ground spices in onion and tomato mixture, with kasuri methi, ginger julienne, bell peppers (capsicum), which make this curry different from others. 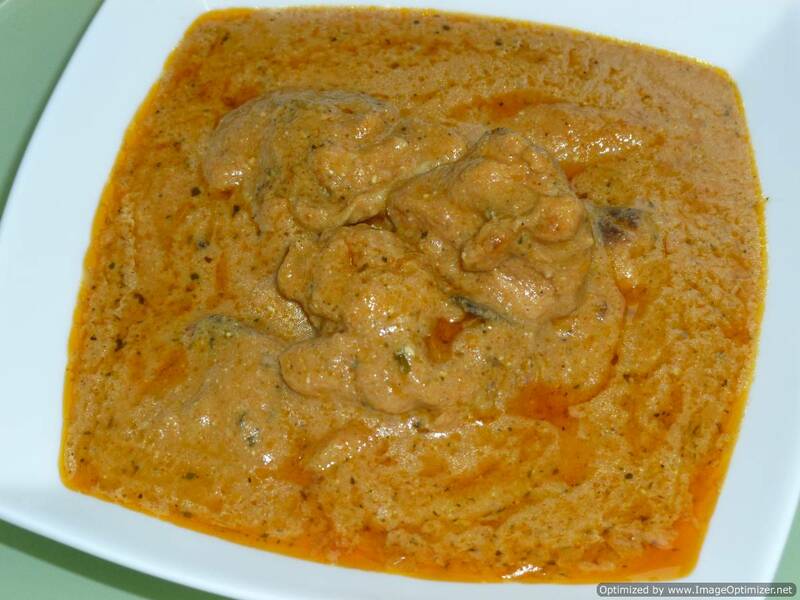 This kadai chicken is semi gravy full of aroma and taste. It goes well with roti (chapathi), naan or any rice. In restaurants, kadai chicken is served boneless whereas in dhabas or at home it is always served with bones, which gives more flavour and taste to the curry. 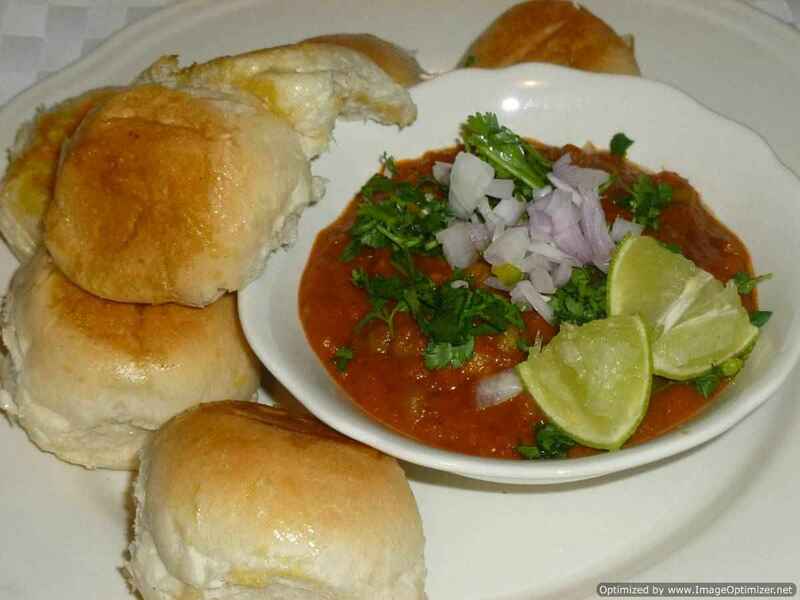 In dhabas, usually only green bell peppers are used as they are easily available. I have seen that they add it in the middle of cooking, so that the bell pepper flavour and taste is well combined in the curry. I have added twice, in the middle of cooking and also in the end. 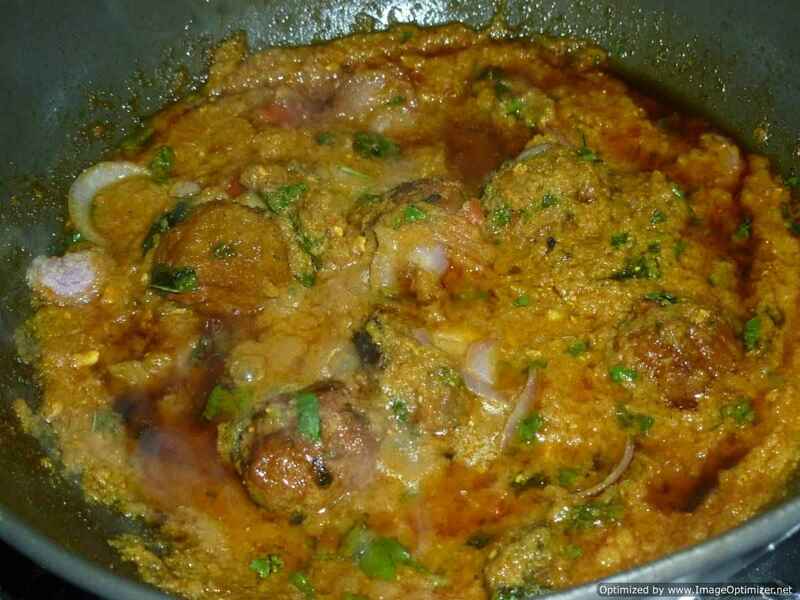 Chop onion and coriander leaves. Keep them ready. Grind the tomatoes to a puree using a mixer. I have used one whole and half a the tomato for puree and the other ½ for slicing. Chop other additional vegetables bell pepper, onion into slices or chunks (square cut). Take a pan or small kadai, when hot add all the spices and roast on a low flame until the spices are lightly brown and can smell the aroma of spices. Allow to cool. Grind to little coarse powder. Keep it aside. Take a kadai or wok, add oil, when hot add whole spices cumin seeds, bay leaf and black cardamom; let it sizzle for 15 seconds. Add onion, suate for few minutes until light golden brown. Add chicken, stir for few minutes, until light brown colour comes. Add roasted kadai masala, chilli powder, turmeric powder, stir on low flame for 2minutes. Add tomato puri, mix well and cook on high flame for 3 to 4minutes, keep stirring. 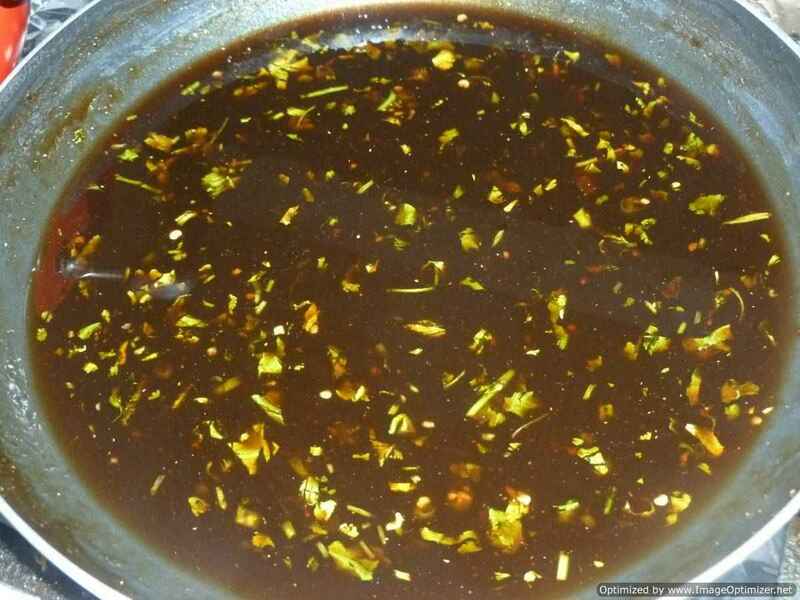 Add water 1/2cup (100ml) and cook for 4 to 5minutes until curry has left oil in the corner sides. Add ½ of each coloured bell, 1/2 chopped or sliced tomato(remaining ½ left while making tomato puri), green chilli, kasuri methi 1/2tsp, mix well, cook on medium flame 3 to 4minutes by closing the lid, in between keep stirring. 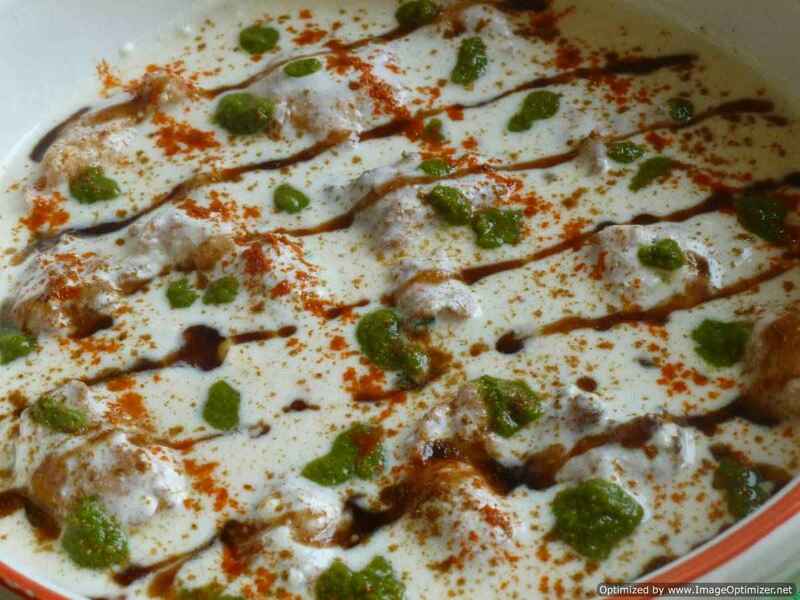 Add curd, garam masala on low flame, so that curd (yoghurt) does not curdle and split, cook for 2minutes, then raise the flame to medium to high flame 5minutes, keep stirring until it leaves oil in the corner sides again. Add roasted spice1/2tsp, kasuri methi 1/2tsp, other vegetables tomato (1), remaining bell peppers, ginger julienne, onion , coriander leaves, mix well, cook on low flame by closing the lid for 10minutes.switch of , let it rest. 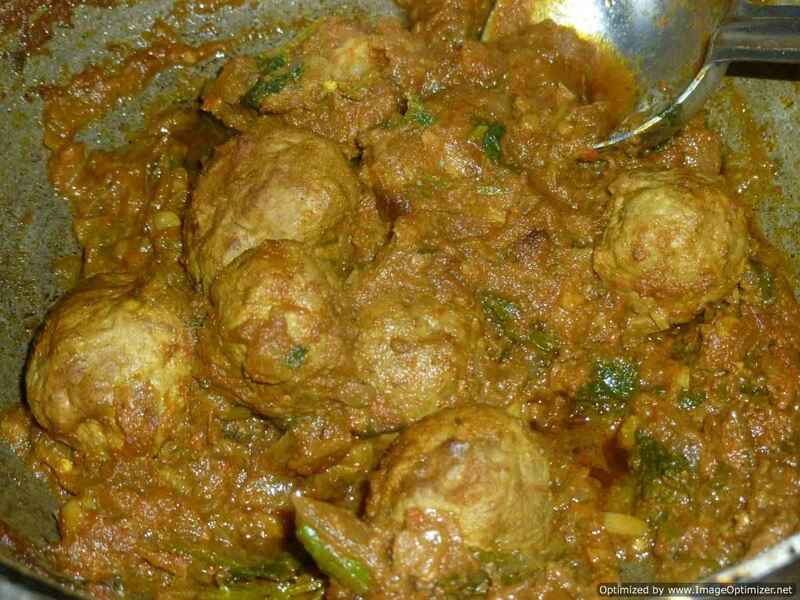 Serve with any pulao or roti, naan, enjoy the taste. You can add additional vegetables as per your taste and required quantity. You can add more water as per the consistency require.